Earlier, Schaeffler had committed to invest 120 million euros (Rs 1,000 crore) in its Indian operations over the next three years. Hoping to ride India’s push for cleaner e-mobility via electric vehicles, German auto component major Schaeffler Group is considering setting up a local engineering unit in India to cater to the growing need from the domestic players to localise technology. The base will help Schaeffler tailor India-specific solutions, based on the global solutions developed by the company the world over. The group already uses India as a hub for cost-effective solutions for two-wheelers and tractors for the domestic market, which also serves some of its global needs. Dharmesh Arora, president and CEO, Schaeffler India, told ETthe group intends to build capabilities in the country for mechatronics and software areas which can also support many of e-mobility needs of the global Schaeffler. “We are building up capabilities and investing in India because sometimes the customers in India may require slightly different solutions than what are available globally, or at times their needs (could be) in terms of (a quick) response time,” Arora said. Schaeffler has a range of technologies from offering electric axles for a 48-volt hybrid to plug-in hybrids to even pure EVs. Even the company’s e-clutch solution could gain acceptance to support hybrid solutions for the market. With the government increasing its focus towards e-mobility to curb air pollution and rising oil imports of India, and many original equipment manufacturers (OEMs) planning electric vehicles for the market in the coming two years, suppliers are ramping up technology development to cater to this nascent market. 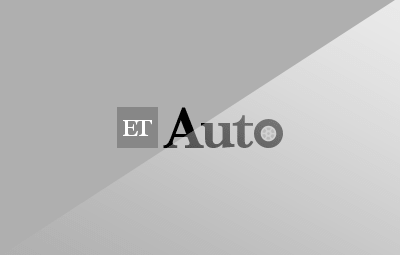 Earlier, Bosch had announced plans of using its engineering base in India to offer complete electric-vehicle solutions while Continental invested in research on EVs with IIT Madras. As against extending sops to the end user of electric vehicles, the government of India has stated its intent on supporting localisation of such technology in order to bring down the cost and spread cleaner technology. Developing such country-specific solutions can get prohibitively expensive, preventing many component makers from investing in research locally, but with the government’s intent clear, component makers are now getting more confident in allocating resources for the domestic market. Did You Know That a Reflector Can Do This?